Investigators confirm dirty exhaust system was not a factor. Earlier this month, a fire broke out in the early hours of the morning at the Wind & Sea Restaurant in Dana Point CA. Though Orange County firefighters responded quickly and extinguished the blaze within 45 minutes, nonetheless there was significant damage to the restaurant. Officials pegged the cost of the fire at roughly $100,000 in damage to the structure and $20,000 in damage to the contents. Because the fire originated in the kitchen, it was originally suspected to be a grease fire. It was even reported as such in some news outlets. However, with further investigation it was determined that the fire actually had nothing to do with grease in the exhaust system. Instead, officials now say the fire was caused by heat transfer. The nuts and bolts in the dry wood behind a stove had become so hot that they actually ignited a fire. Why Was a Grease Fire Suspected? Grease fires are the boogeyman of commercial kitchens, and for good reason. The slow and steady accumulation of grease from cooking activities creates a layer of fast-burning fuel just waiting for an errant spark or temperature spike to ignite. 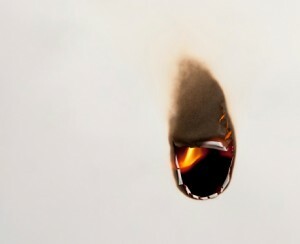 The dangers presented by grease buildup are very real, and it’s only natural that this be considered as a possible cause of any restaurant kitchen fire. However, it is also important to bear in mind that responsible restaurant owners control this grease buildup with regular kitchen exhaust cleaning in Dana Point CA, including a mix of hand scraping and steam cleaning services. This helps to minimize fire risks. In theory, a restaurant that has kept up with its code-compliant exhaust system cleanings diligently should be at a very low risk of having a grease fire. Why Should We Have Known Better? A second look at the details of the Wind & Sea Restaurant fire should reveal some clues as to why we should have known is wasn’t actually a grease fire. The most important clue has to do with the timing of the fire. The fire began around 1:50 am, after the restaurant had closed. Now, remember that grease fires are flash fires caused by grease either coming in contact with a spark or becoming superheated. Barring the possibility of sparks from faulty wiring (which should not be run anywhere near the greasy surfaces of the exhaust system anyway), it is not likely that a fire could start in this way with no one in the restaurant. However, a slow, smoldering fire ignited by heat transfer could continue to burn behind the stove long after the appliance was turned off and the kitchen crew had gone home, eventually growing to engulf the kitchen. 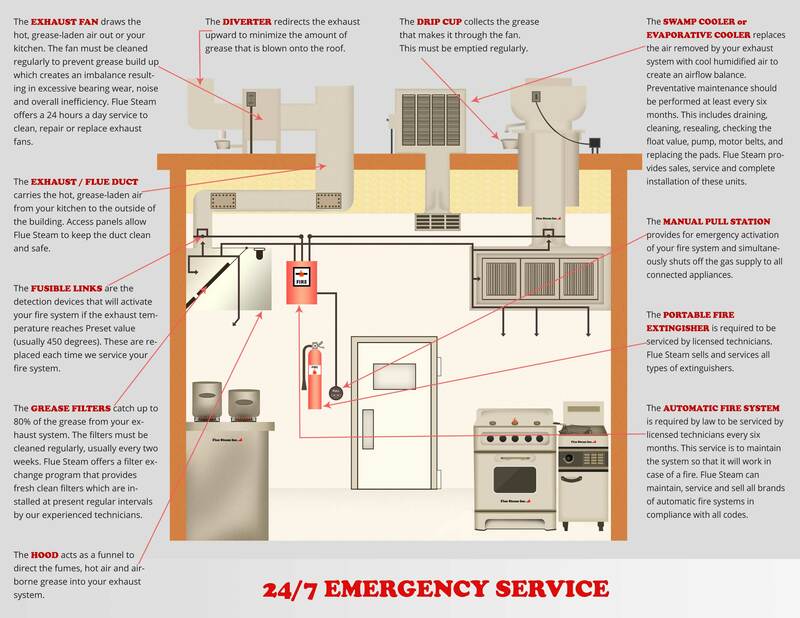 The main takeaway from this story should be that while kitchen exhaust system cleaning is indeed a vital fire prevention activity, grease buildup is not the only risk your kitchen may face. Don’t let a myopic focus on grease fires prevent you from seeing and addressing the other risks that may exist in your commercial kitchen.